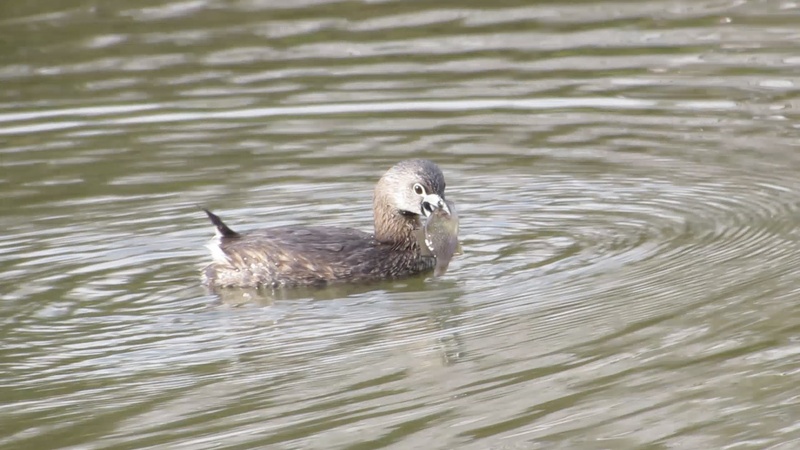 We have a Pied-billed Grebe at the small lake in our subdivision. He’s not going hungry. Does he have the cutest little tail you ever saw? I mean, it isn’t even big enough to serve any purpose except to add to his general darlingness. To see him in action, check out my video about his fishing habits.